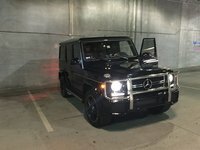 CarGurus has 2,688 nationwide Sprinter listings starting at $13,995. 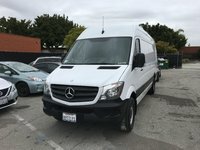 With its acres of potential cargo capacity, seating for up to 12 in 4 rows and, of course, the cachet of the Mercedes-Benz moniker, 2015’s full-size Sprinter passenger van offerings bring a comparatively upscale, if pricy, alternative in a somewhat limited but fiercely competitive market. And starting in the upcoming model year, this high-end people-hauler is slated to be delivered to U.S. showrooms with a 4-wheel-drive (4WD) alternative and with an available new Crosswind Assistance feature. Once again, this German import, at least in passenger iterations, comes only in the three-quarter-ton 2500 trim, and remains offered with either the standard 144-inch wheelbase or the extended 170-inch wheelbase. 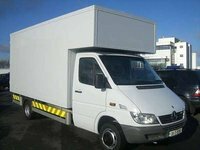 By the way, the Sprinter also comes in Cargo form, and that version is covered in a separate overview. Although it traditionally comes in standard rear-wheel-drive (RWD) configuration, as mentioned, this people-packing Benz is expected to grace Mercedes dealerships here in the States with a 4WD… well, actually a beefed-up all-wheel-drive (AWD) trim later in the 2015 season. Boasting a 2-speed transfer case, a higher stance and the constant division of 65 percent of torque to the rear wheels and 35 percent to the front wheels with the push of a button, not to mention M-B’s Electronic Traction System (4ETS) and load-adaptive Electronic Stability Program (ESP), the 4WD/AWD helpmate should come in mighty handy on snowy roads. Additionally, the 2015 Sprinter is also expected to debut its touted Crosswind Assist safety technology as an option for all trims. Sporting the above-mentioned ESP system with yaw-sensing technology, and utilizing slight braking and steering compensations to alleviate sudden bursts of breeze, the available Crosswind Assist feature is expected to be especially useful in the super-slab-sided Sprinter High-Roof version. Standard power for the 2015 Sprinter passenger stable, meanwhile, remains a 2.1-liter turbodiesel inline 4-cylinder engine mated with a 7-speed shiftable automatic transmission. Again, look for 161 hp and 265 lb-ft of torque from this turbocharged 4-banger, while mileage numbers remain, alas, unavailable. For a bit more giddy-up in your get-along, the available 3.0-liter turbodiesel V6 powerplant returns under the management of a 5-speed automatic to pound down 188 hp and 325 lb-ft of torque. Again mileage numbers are kept secret for this heftier engine, but Mercedes, in a masterpiece of deduction, says the turbodiesel I4 is some 18 percent more fuel-efficient than the force-fed V6. Those debuting 4WD versions, it should be noted, are expected to use this turbodiesel V6 exclusively. 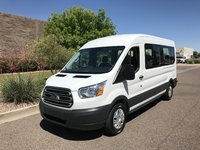 Features-wise, each 2015 Sprinter passenger van will again sport standard 16-inch steel wheels and auxiliary transmission cooling, as well as hill-start assist, telescoping tilt-wheel steering, remote keyless entry and a passenger-side sliding rear door. Of course, air conditioning remains standard across the trim spectrum, as do tinted rear windows and an 8-speaker audio system with dedicated rear speakers. 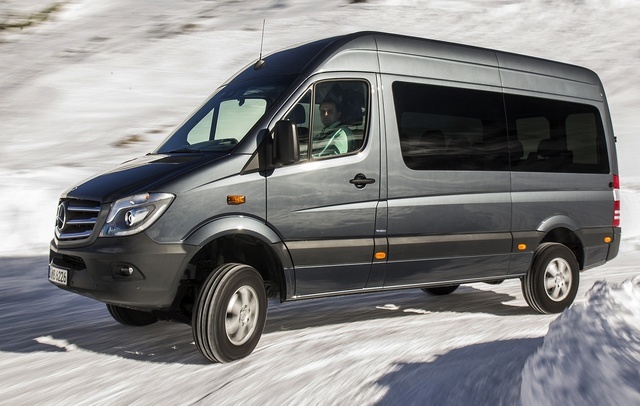 Where the Euro-styled 2015 Sprinter has a distinct posh advantage over its competition is in options offerings. A heavy-duty suspension, 16-inch alloy wheels, front and rear parking sensors, a rear-view camera and a driver’s-side sliding rear door are all available add-ons, lineup-wide, as are bi-xenon headlights, a heated windshield, GPS navigation, power-adjustable outside mirrors, cruise control and reconfigurable seating arrangements. And, needless to say, this is all on top of (no pun intended) the already-described High Roof option. Passenger versions can be further upgraded with optional rear air conditioning and rear wipers, with most of the extras tacked on in either package or standalone form. Oh, and let's not forget that this princely people-hauler is also available in 18-passenger minibus versions. Finally, nearly limitless up-fitted configurations of the 2015 Sprinter, not to mention a wealth of seating options, further enhance its quasi-luxurious transportation duties. Standard safety equipment for the 2015 Sprinter lineup includes 4-wheel antilock brakes (ABS), traction and stability control (ESP), daytime running lights, turn-signal-integrated mirrors and a post-collision safety system. Again, available safety add-ons for all 2015 Sprinter variants include rollover mitigation and front side-mounted airbags, as well as front and rear head airbags, blind-spot monitoring, lane-keeping assist and front collision warning with emergency braking. Furthermore, a speed limiter and rain-sensing wipers also return as available safety options for the upcoming model year. What's your take on the 2015 Mercedes-Benz Sprinter? Users ranked 2015 Mercedes-Benz Sprinter against other cars which they drove/owned. Each ranking was based on 9 categories. Here is the summary of top rankings. 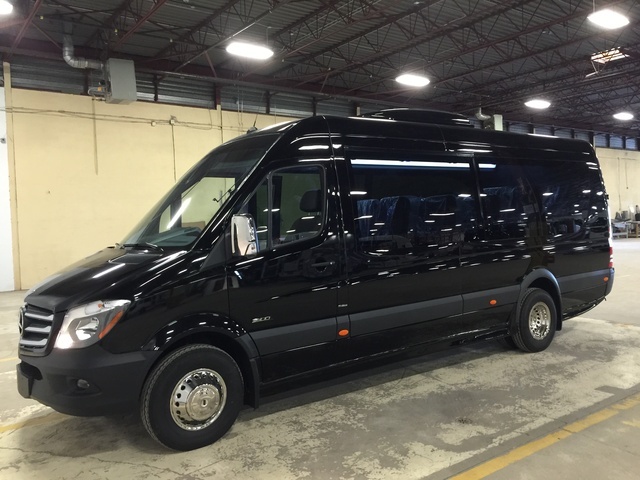 Have you driven a 2015 Mercedes-Benz Sprinter? Low Beam Head Lights Are Out. My head light just went out and I can't figure out why or how to fix them.